Gu Chong, a professor of statistics at Purdue University in the US, was glad that he recently got a confirmation letter for getting an R Visa or the foreign talents visa. In September 2017, he was invited to China by Tsinghua University to work as a distinguished professor for a year. Doing academic work, Gu has to take many trips to and from China. The R Visa, which is a long-term, multi-entry visa, provides convenience and flexibility, so he applied for it, Gu said. The application process was guided by the Beijing foreign experts service staff, and all he needed to do was provide the needed information and documents as instructed, he recalled. "As a current 10-year, multi-entry Q2 Visa holder, I really enjoy the convenience. With a potential long-term, multi-entry visa (R Visa), one would be able to enjoy the same convenience while conducting academic affairs," Gu told Metropolitan. Xinhua News Agency reported on January 4 that the State Administration of Foreign Experts Affairs (SAFEA) announced easier visa permits for high-skilled foreign workers as part of China's effort to bridge the talent gap. 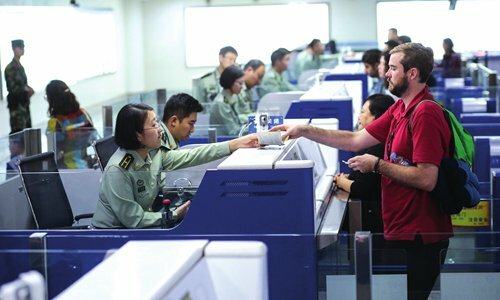 Before the new rule, China has issued R Visas or the foreign talents visa for foreign experts whose skills are urgently and highly needed in China. Now the applicants will be expanded to those who are qualified as high-level talents or fall into Category A in the Categories for Foreigners Working in China, including scientists, entrepreneurs and leading experts in science and technology industries. The expiration date of the visa could be extended to five to 10 years after issuance, with multiple entries and 180-day stays for a single entry. Spouses and minor children of the applicants could gain the same visa as early as a day after filing the applications. Applicants could get their confirmation letters within five working days. With the confirmation letters, they can apply for the R Visa. The application is free of charge, Xinhua said. The new rule has triggered much discussion in the expat community about its potential influence and problems. Metropolitan has interviewed several foreigners and experts to share their insights on the new visa policy. Since it was launched, some places including Beijing, Shanghai and Sichuan Province have issued confirmation letters and R Visa to applicants. Gu is among the first batch of recipients of the confirmation letters in Beijing. He said he wants to come to China because he has been intrigued by the recent devotion of China and Tsinghua to data sciences. He would like to participate through working at the Tsinghua Center for Statistical Science. "I think the new visa policy would encourage the proliferation of academic exchanges between domestic and overseas researchers, promoting international collaborations on science and technology," said Gu. He said the recent long-term visa is a "godsend" compared to his previous two-year visas. "A sense of belonging could mean much to many. The long-term, multi-entry visa is a big step forward." Wang Huiyao, founder and president of the Center for China and Globalization, a Beijing-based think tank, said since it was newly launched, the effect takes time to see. But at least it releases a positive signal that China is welcoming and friendly to foreign talents. Before, the focus on foreigners by the government was in management and safety. "This is progress and another new measure to attract foreign talents after the Chinese green card," said Wang. Glen Loveland, an American who works as the HR Manager of CGTN, has been in China for 10 years. "I don't think there will be much effect on overseas applicants themselves. But it will give companies more incentive to target these kinds of talents given the more streamlined process," said Loveland. He added that China has made a number of changes to its visa policies in 2017. In general, the changes are all welcome. Anything that can streamline the process and make it more efficient is good news. "There's greater interest in China than there ever has been before. The world is waking up and realizing that China's place on the world economic stage is unstoppable. Many of the current policies are most likely to attract those with strong China links, such as having family in the country," he said. "What's clear is that China is sending a strong message that it only wants to attract and retain higher-level foreign talent. Given that so many Chinese companies are now leading the way in areas like IT and tech, it's not difficult to imagine a diverse array of applicants choosing Chinese brands over their homegrown ones." 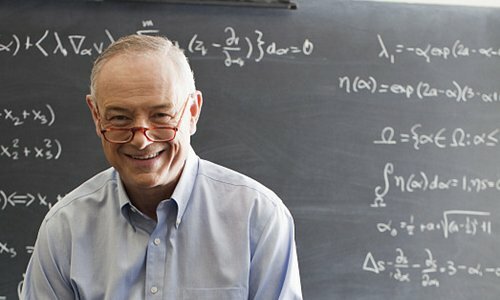 Foreign talents visa or the Chinese green card? Julian Mintzis, an American and the CEO of consulting company Panda Eagle Group, has been in Beijing for nine years. Mintzis said there are three ways one can obtain the Chinese green card - marriage, investment and work. One major difference is the rights given. The foreign talents visa is still a type of working visa, whereas the green card subjects the person to tax on worldwide assets and income in China; and it is supposed to be considered an official form of identification in China. In addition, the person is classified as a permanent resident, so he or she may lose some benefits back home. "Some foreigners are not interested in the Chinese green card partly because it may have an impact on their financial planning and benefits back home," he said. Atish Ghosh, a senior marketing executive from India, who has been in China for 18 years, thinks that the foreign talents visa may not be an ideal fit for him. "It is only valid for a 180-day stay each time, which does not really work for me because at times I am here for longer stretches." He thinks that getting the Chinese permanent residency makes more sense for someone like him who spends a good part of his life here and has developed a deep connection with the country. Yet the application process is quite long and tedious, therefore it is not on his radar at the moment. Loveland also believes that the current Chinese green card system is somewhat a bragging right as opposed to a true solution for long-term employment. It provides some security for foreigners who have decided to live in China for the rest of their lives. For example, it is a good choice for a foreigner who has married a Chinese national. Beyond that, the other visa categories are effective as long as the foreigner is legally employed. "Given that more foreigners will want to remain in China, I wouldn't be surprised if the government does make some amendments to the green card program to open it up a bit more. The current process [of the foreign talents visa] is really only targeting high-end talent," said Loveland. Eric Liu, the recruitment consultant at Foreign HR, a recruitment firm for foreigners in China, thinks that a soft environment including visa policies only plays a supplementary role. The biggest attractions are the job opportunities the employer can provide, for example, pay, scientific research funds and the teams. "Generally, China is very welcoming to foreign high-end talents and tightening control on lower-end talents. We have established very mature assessment criteria for high-skilled foreigners. Yet, there is an imbalance of supply and demand in the market," said Liu. He said there are still many companies or organizations that cannot get the talents they need, mainly due to competitive pay, their international reputation and living conditions. Mintzis thinks if the government clearly explains the qualifications and application process, China could receive some very high-quality talents. The new changes to the work permit and visa policy, which were significantly changed last April, focus on high-quality candidates. However, there are many factors which deter these kinds of people from being interested in working in China, such as environmental concerns, the cost of international education, internet quality and connectivity and wages. In this situation, the demand is high but the supply is low, he said. "On the other hand, the opposite is true where the supply is high and demand is low in lower-end jobs such as teaching English. These kinds of people are just looking to gain some experience in China and not build a career here, unlike their predecessors who came to China between five and 15 years ago." Wang thinks that a big problem with the visa and permits policies is that we are "waiting for the windfalls." We should take a more proactive approach. We always wait for the applications for a Chinese green card after candidates come to and reside in China for a certain time rather than putting in the applications before they come to China, he said. "The foreign talents visa is good, but I think the key to attract and retain foreign talents is the shift from subsequent endorsement to the issuance of a Chinese green card in advance. The candidates in China are stable and limited, but there are many foreign talents abroad who want to come to China but are not qualified for a Chinese green card. If they can get it before coming to China, it will be one of the biggest attractions," said Wang.